Based in part on a survey of 50 car dealerships as well as an analysis of the approach to consumer automotive financial services of 33 car manufacturer brands, Consumer Automotive Financial Services in Romania investigates the market for automotive financial services linked to sales of new and used passenger cars to individual buyers in Romania. In addition to analysing the market for finance and leasing services, the study also covers creditor insurance, motor insurance, road assistance, extended warranties, prepaid service contracts and GAP insurance. Using survey results for average take-up rates for finance and leasing propositions at the point of sale, data for the size and growth of the automotive finance and leasing market for consumers in Romania is provided in terms of gross advances and assets leased for 2014 to 2018 with splits between finance for new and used cars and between finance organised through dealerships at the point of sale and directly with banks or other lending institutions. Moreover, by means of take-up rate data plus other inputs such as average prices, the markets for creditor insurance, motor insurance, road assistance, extended warranties, prepaid service contracts and GAP insurance are sized in terms of gross written premiums and other revenues sold through the automotive trade (i.e. via dealers and manufacturers) from 2014 to 2018. For 2018 alone, these markets, estimated to be worth over RON 600 million in total in 2018, are broken down between new and used cars, and between new contracts sold during 2018 and in-force business sold in previous years but still being renewed in 2018. In addition, data depicting the growth (or decline) of these markets is provided for each year since 2014, thereby illustrating the extent to which the ancillary revenues that they generate are becoming more (or less) important to the automotive trade. Further metrics drawn from the same survey concern the credit quality of applicants for point-of-sale finance, the availability of digital applications and the average time taken for finance contract approvals / rejections plus segmentations of the types of motor and GAP insurance offered, in the former case between drive-away / temporary , telematics and pay-on-demand cover and in the latter between return-to-invoice (RTI), finance / leasing and other cover. The PartnerBASE™ dataset that accompanies the report details each of the marketing initiatives for consumer automotive financial services traced by Finaccord for both dealers and manufacturers; a market data annexe is also available in a convenient spreadsheet format so that there is no need to re-enter key data points from the report. In addition to captive finance companies owned by manufacturer brands, organisations covered by the report include A24 Assistance, Alico Asigurări (MetLife), Allianz Ţiriac, BRD, CarGarantie, Europ Assistance, Gothaer, Groupama, Idea Leasing, IMPULS-Leasing, Millennium Assistance, Omniasig, Ţiriac Leasing, UniCredit and UNIQA. 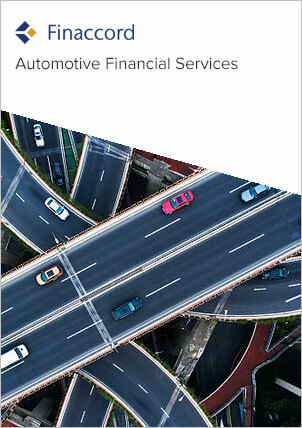 Together, the report and database will provide you with the definitive guide to current and future opportunities in consumer automotive financial services in Romania.